I began racing karts at the age of 10 and have since gained experience across many platforms. I’ve had success on road courses, ovals, and off-road, driving everything from shifter karts, to formula cars, GT and touring cars, NASCAR Trucks, Baja buggies and Hill Climb vehicles. After my years of karting, I had the honor of starring in the 2008 Season of SPEED Channel’s hit television series Setup. I won the most races in the show’s series and received significant exposure from that experience. The series host, Hall Of Fame Driver Tommy Kendall, issued many accolades and continues to be a great resource. On the whole, it was a great learning experience for me, building a car and racing it every other day in front of the cameras. That same year, I went on to win the 2008 NASA SpecE30 National Championship as well as two regional championships, with an unprecedented 70% win ratio. It was also an honor to earn the Grassroots Motorsports Magazine Editor’s Choice Award that year. Thanks to the many teams and sponsors who have seen my abilities and believed in me along the way, that success has continued to grow. My 2009 debut in the SCCA Pro Racing Muscle Milk Trans-Am series was record-setting, with a last-to-second drive that stunned series regulars; earned me the Hard Charger and Star of the Race Awards; and eclipsed the former Road Atlanta lap record set by Boris Said. I was able to continue to perform well in the series with multiple front-row qualifying positions, lap records, and I was named the 2010 Rookie of the Year! In 2010, I was also able to compete in the World Challenge GT series at Mid-Ohio, where my team and I surprised everyone yet again. As a substitute driver for Ron Fellows, I qualified the Carlisle Companies/Cragar Wheels Corvette on the front row, followed by a Race Win, Lap Record, Clean Pass of the Race Award, and Move of the Race Award – all in my first weekend in the series! From 2011 to 2015, I drove full-time for CRP Racing in the Pirelli World Challenge GT Series in a Corvette, Nissan GT-R, and Audi R8 LMS ultra. We scored numerous Wins and Podiums each year in the series with a high finish of 2nd in the GT Driver’s Championship in 2014. 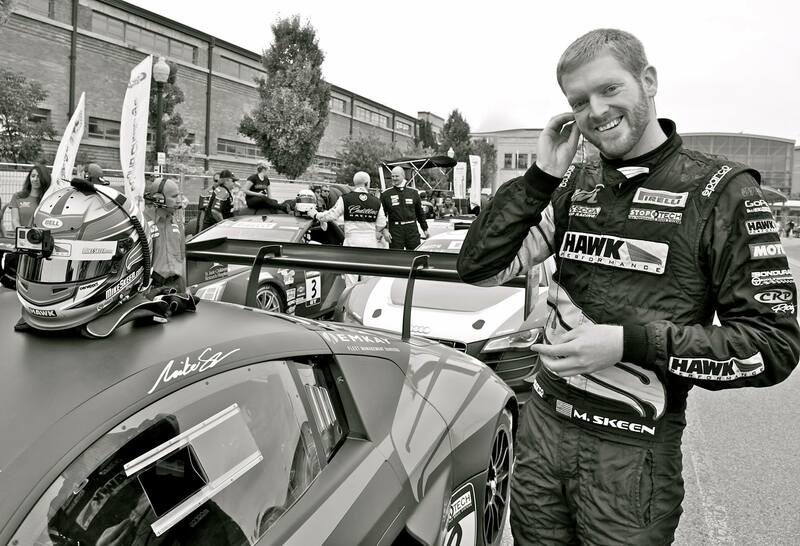 2014 was truly a banner year, finishing second in the Pirelli World Challenge GT Driver’s Championship driving the Hawk Performance/CRP Racing Audi R8 LMS ultra. We had three Wins and five Pole Positions despite starting the year with a different chassis and developing our understanding of the Audi mid-year. We were also integral in helping Audi score second place in the Manufacturer’s Championship that year – an honor I am still proud of as it was an achievement bigger than any one driver or team. In 2017, I debuted in the Blancpain Endurance Series with HTP Motorsport and made appearances again in Pirelli World Challenge driving the McCann Racing Audi R8 LMS. I began driving for Lone Star Racing in the IMSA GTD category with their Viper GT3-R in 2016 and currently compete in their Mercedes-AMG GT3. Other highlights include driving in NASCAR, the FIA World Endurance Championship, IMSA WeatherTech SportsCar Series and Continental Tire SportsCar Challenge Series. 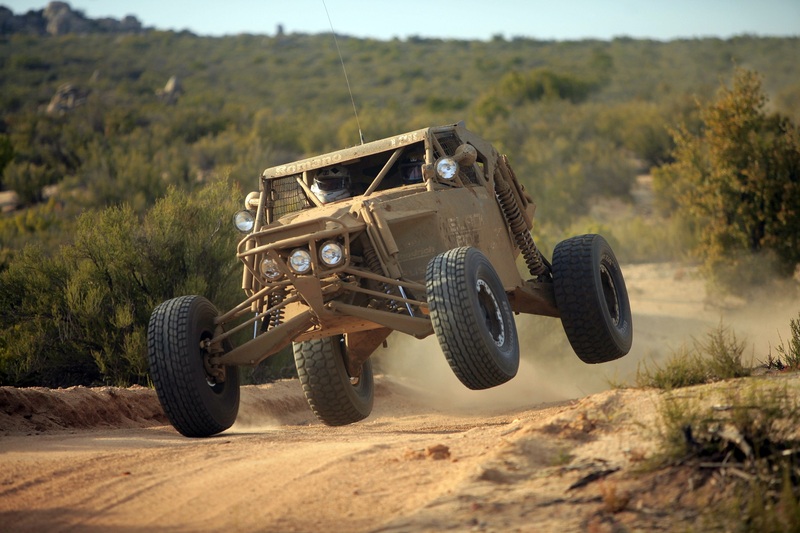 I also achieved class wins in the 2012 SCORE Baja 1000 and the 2014 Pikes Peak International Hill Climb–the latter earning me Rookie of the Year honors as one of only 12 drivers in history to go under the 10-minute barrier in their first attempt. I understand that racing is a team sport and it takes a team effort. I always stand ready to pitch in and do more than my part. While I am very technically-minded, I am also laid back, play well with others, and work diligently to provide every team with whom I work any and everything they need to win races, championships, sponsors, and the hearts and minds of the fans. I love learning and make a point to do so every time I set foot at the track or sit in a car. I also serve as a Driver Coach to pro and amateur drivers. I’ve served as an instructor in club and school events, as well as with teen driving programs. I have many years of experience as a Celebrity and Pro-Driver at automotive manufacturer marketing activation events and present well to the public. I would love to speak with you about putting You in Winner’s Circle! SCCA 13 Hours of VIR; Raver Motorsports Superlite SL-C; fastest lap of the race; Set new lap record for ITE; finished 5th in class and 9th overall despite three failures from overheated CV joints. Pirelli World Challenge GT with CRP Racing Audi R8 LMS ultra; Mazda Raceway Laguna Seca; qualified 4th – mechanical issue in the race resulted in a 27th Place finish. Pirelli World Challenge GT with CRP Racing Audi R8 LMS ultra; Sonoma Raceway; 3rd Place in Race 1; DNF in Race 2 – turned from behind on the start and sustained major damage. Pirelli World Challenge GT with CRP Racing Audi R8 LMS ultra; Detroit Belle Isle; Qualified 5th, DNF due to suspension failure. Pirelli World Challenge GT with CRP Racing Audi R8 LMS ultra; Canadian Tire Motorsports Park; 5th Place in Race 1; 4th Place in Race 2. Pirelli World Challenge GT with CRP Racing Audi R8 LMS ultra; Barber Motorsports Park; 3rd Place in Race 1; 5th Place in Race 2. Pirelli World Challenge GT with CRP Racing Audi R8 LMS ultra; Grand Prix of St. Petersburg; 3rd Place finish in Race 1; 26th in Race 2 after being spun from behind. Second Place in the Pirelli World Challenge GT Driver’s Championship; first of the GT3 drivers with 3 wins, 3 podiums, 5 pole positions, 4 fastest laps. Pirelli World Challenge GT at Miller Motorsports Park with CRP Racing; qualified P2, but broke an axle on standing start for Race 1. Finished P8 in Race 2. Pirelli World Challenge GT at Raceway Sonoma with CRP Racing; qualified on pole for Race 1 and lead the race flag-to-flag for the win. Finished 19th in Race 2 after having a flat tire. Pirelli World Challenge GT at Mid-Ohio Sports Car Course with CRP Racing; qualified on pole for Race 1 and lead the whole race until pitting for rain tires. 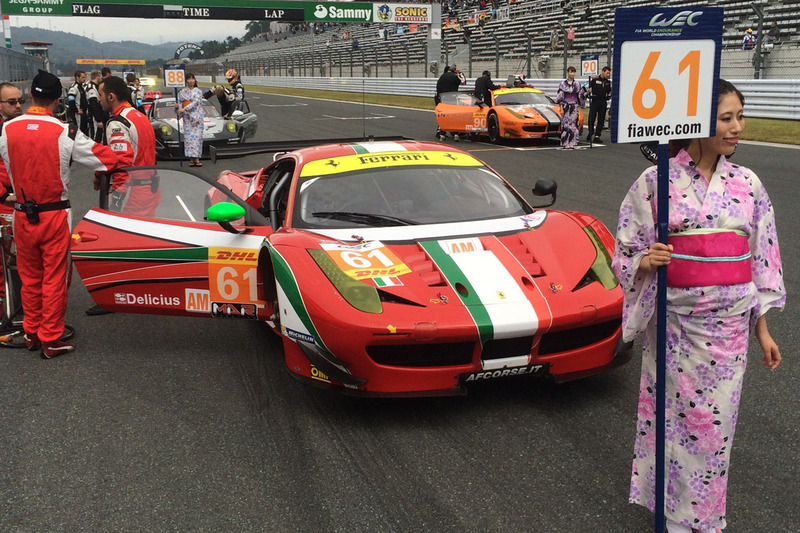 The race ended early with a red flag and we were awarded 3rd place. Started and finished 2nd in Race 2. IMSA Continental Tire Sports Car Challenge at Canadian Tire Motorsports Park with CKS Autosport. Finished 7th after stop-plus-20 penalty in the pits. Pirelli World Challenge GT at Road America with CRP Racing finishing in 1st place with fastest lap in both races and pole position for race 2. Pirelli World Challenge GT at Detroit Belle Isle with CRP Racing finishing 4th place in both races. Pirelli World Challenge GT at Barber Motorsports Park with CRP Racing qualfiying in 3rd place with 5th and 6th place finishes. Pirelli World Challenge GT at Long Beach with CRP Racing finishing 6th place. NASA 3 Hour at Buttonwillow Raceway with Team Quick Racing Products 1st Place Overall. 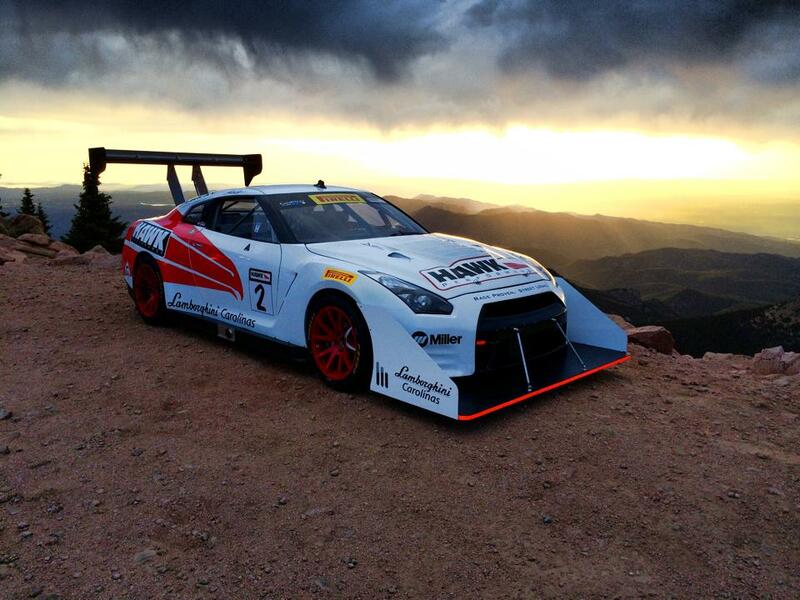 Pirelli World Challenge GT at St. Petersburg with CRP Racing finishing 11th place (final race with Nissan GT-R). Pirelli World Challenge GT at Sonoma Raceway with CRP Racing finishing 9th. Pirelli World Challenge GT at Mid-Ohio Sports Car Course with CRP Racing finish 5th and 6th. Pirelli World Challenge GT at Toronto GP with CRP Racing; 3rd place. GRAND-AM Continental Tire Sports Car Challenge GS at Daytona; Co-drove the Mitchum Motorsports/TrackPro Advisors Chevrolet Camaro with Lawrence Davey. Co-drove the Doran Racing/Hawk Performance Nissan 370Z with BJ Zacharias to a 6th Place finish. Pirelli World Challenge Mid-Ohio Sports Car Course DNF in Race 1; 8th Place in Race 2 driving Hawk Performance Nissan GT-R.
Grassroots Motorsports Magazine Ultimate Track Car Challenge Won “Fastest Corvette” and 1st Overall driving the Callahan Construction Corvette to a 1:54.6. NASCAR K&N Pro Series West Grand Prix of Utah: Qualified 5th in the #31 Carlisle Construction Materials/Hawk Performance/RCR/Golden Gate Racing Chevrolet; Finished 17th after being wrecked on a restart with 3 laps to go and getting a flat tire; we were running the fastest laps and were in a position to win the race up to that point. Pirelli World Challenge Grand Prix of St. PetersburgQualified on pole and set track record at 1:14.700, but was unable to start race. Returned to the NASA Mid-Atlantic SpecE30 series for the first event of 2012 at VIR, qualifying on pole, leading flag-to-flag for the win in both races, and resetting the lap record at 2:17.7. SCCA Pro Racing Trans-Am at Road Atlanta Qualified 2nd and finished 1st in TA2 Category. 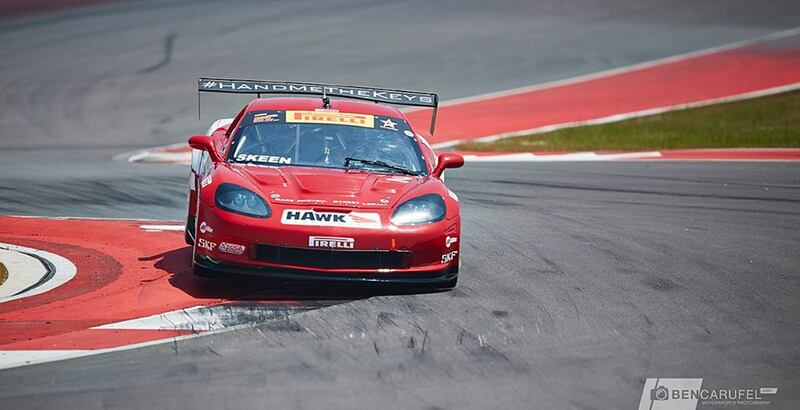 Pirelli World Challenge Road Atlanta: Qualified and finished 2nd, setting the lap record with a 1:23.136. Pirelli World Challenge Laguna Seca: Won Round 11 and earned Cadillac Move Of The Race. Pirelli World Challenge Infineon Raceway Finished 3rd in Round 9; finished 9th in Round 10 after starting from pit lane. Pirelli World Challenge Mid-Ohio Sports Car Challenge: Qualified 4th for Rounds 7 & 8; finished 6th in the first race after stalling on the grid; DNF in second race after getting spun when leading the final lap. Lowered lap record to 1:24.662. GRAND-AM Rolex Sports Car Series American Red Cross 250 at New Jersey Motorsports ParkCo-drove the #07 Banner Racing/The Cool TV Chevrolet Camaro with Gunter Schaldach, finishing in 7th position. GRAND-AM Rolex Sports Car Series Continental Tire Sports Car Festival Powered by Mazda at Laguna Seca Co-drove the #07 Banner Racing/The Cool TV Chevrolet Camaro with Gunter Schaldach, finishing in 6th position. GRAND-AM Rolex Sports Car Series Sahlen’s Six Hours of The Glen: Co-drove the #07 Banner Racing/The Cool TV Chevrolet Camaro with Oliver Gavin and Gunter Schaldach, finishing in 4th position. Pirelli World Challenge Mosport Victoria Day Speedfest: Qualified 1st, lead every lap, and won both Rounds 5 & 6. Pirelli World Challenge Grand Prix of Utah (Miller Motorsports Park)Qualifying cancelled due to snow. DNF due to differential failure. Pirelli World Challenge Grand Prix of Long Beach: Qualified 3rd; DNF due to broken control arm. Pirelli World Challenge Grand Prix of St. Petersburg: Qualified 2nd for Round 1; taken out by a GTS car on the final lap when running 2nd and challenging for the lead–finished 9th.Started at the back of GT for Round 2 due to an engine change; finished 3rd with Invisible Glass Clean Pass of the Race Award. Rolex 24 Hours of Daytona debut with Bennett Racing in a Ferrari F430. Consistently the fastest driver on the team among two-time race winner Jean-Francois Dumoulin, open wheel notable Daniel Herrington, BRDC Rising Star Glynn Geddie, and NASA standout Mike Davidson. Finished 26th in GT after being sidelined for more than 6 hours with transmission woes. 2010 SCCA Pro Racing Trans-Am Series Rookie of the Year. Finished 2nd in the SCCA Pro Racing Trans-Am series race at Road Atlanta during Petit Le Mans. Qualified in 1st position, breaking the track record with a lap of 1:19.3. Lead the most laps in the race. Set fastest lap (establishing Track Record) on the way to a 4th Place finish at the SCCA Pro Racing Trans-Am event at Miller Motorsports Park. Participated in first Grand-Am Rolex GT race with Bennett Racing at VIR. 1st Overall and 1st in Super Unlimited with NASA Mid-Atlantic at VIR. Started from the back driving the Bennett Racing Ferrari F430 (did not qualify). 2nd Overall at the 2009 Hankook Ultimate Track Car Challenge presented by Grassroots Motorsports (Nov. 09 Issue). Earned Sunoco Hard Charger and Flowmaster Star of the Race Awards in Round 1 at Road Atlanta for driving last to 2nd place. Set a new lap record at 1:22.650 (previously set in 2002 by Boris Said at 1:24.276). October 2008 – KONI Challenge ST at VIR; Freedom Autosport MX-5 #147: 8th place in qualifying and ran in 6th, mechanical DNF. May 2008 – SCCA at Carolina Motorsports Park; ITR BMW 325i: First place overall in 90 minute ECR. April 2008 – Skip Barber Mazdaspeed Challenge MX-5 Cup at Laguna SecaSeca. Event coverage for SPEEDtv.com; Saturday: win from pole; Sunday: mechanical DNF. January 2008 – KONI Challenge ST at Daytona International Speedway; qualified and started the #98 Team Cobalt California Chevrolet Cobalt in 19th position, handing the car over to my co-driver in 13th position. Participant in Setup on the SPEED Channel. Highest average finish in the series with 4 wins and 3 podiums in 9 races. Competed in the 2004 ESPN Jim Russell Racing Scholarship Runoffs, qualifying for the finals in Sunday competition (Top 10). 2004 – Acquired SKUSA A License and competed in ICC at a few races. 2003 – Acquired SKUSA B License and began competing in ICC, finishing on the podium in every event. 2002 – Acquired SKUSA C License and WKA Sprint Class 1 License. Competed at the Jacksonville round of SKUSA’s Florida Winter Tour with a Top 10 finish in Formula MX. 2001 – Began racing 125cc shifter karts and had three wins. 2000 – Raced a Yamaha KT-100 with four podiums. 1999 – Began racing Yamaha KT-100 at age 12—normal minimum age is 16, but exception was made by Hampton Roads Kart Club board of Directors—with one win and a podium. 1998 – Raced in Junior Sportsman 1 with a win and two podiums. 1997 – Raced in the Novice Briggs & Stratton class with four podiums and three Top 5s. March 2008 – Began instructing for the North Carolina Chapter of the Ferrari Club of America at Virginia International Raceway. March 2008 – Began instructing for Tarheel Chapter BMW CCA at Virginia International Raceway. August 2007 – Began instructing for TrackDaze High Performance Driving events. September 2006 – Began instructing for Richard Petty Driving Experience Safe Driving Program. September 2006 – Instructor for the 2006 Dunlop Driver’s Cup at Virginia International Raceway. August 2006 – Began instructing for the Richard Petty Driving Experience on the Mercedes-Benz/AMG ride-and-drive programs. July 2006 – Began instructing for the NASA Southeast Region driving schools. June 2006 – Attended Tarheel Sports Car Club Instructor Clinic and instructed at Roebling Road Raceway. October 2005 – Began instructing for the Peachtree Chapter BMW CCA at Road Atlanta. July 2005 – Began instructing for the Phil Wicks Driving Academy at Carolina Motorsports Park. June 2005 – Began instructing for the Carolina Regional Mustang Club driving schools. September 2004 – Began instructing for the Xtreme Measures Teen Driving School in Charlotte, NC, and Atlanta, GA.